“You better spray those ants, or they will destroy your house!” I heard this from Vince, the man who was working on our barn repairs back in 2006. It didn’t seem like the right thing to do, so I procrastinated. 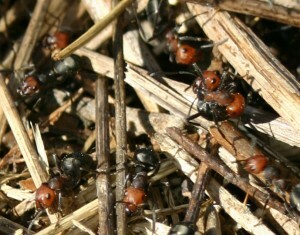 The ants had just started collecting twigs into a small hill by our driveway, and they were a long way from the house. I decided it would be good to learn a little bit about them first–just in case. 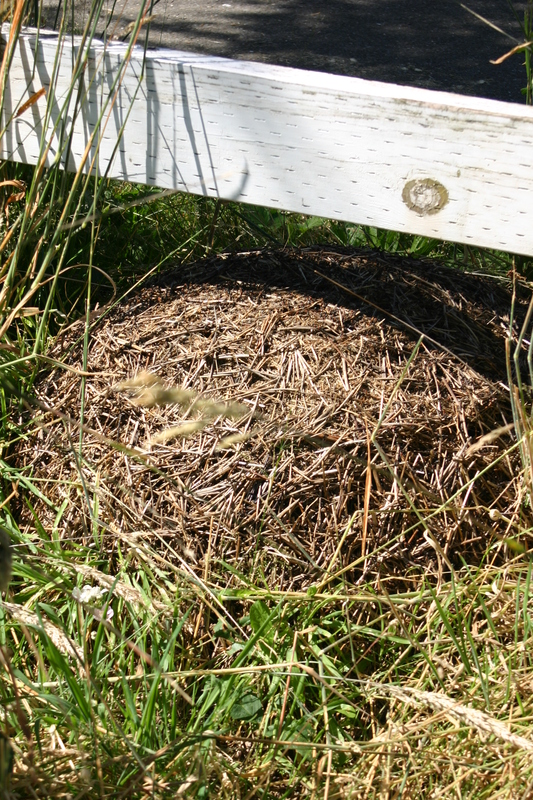 It turns out that thatching ants don’t like to live in houses after all. They build their own, so they have no reason to move into mine. What I found was some references about how they “farm” aphids to collect the honeydew as food. There were also a couple comments about them being predators of grasshoppers and beetles. Personally, I think there is more to it than that, because we don’t have many grasshoppers, beetles, or aphids. That ant hill is next to a cedar tree, and I’ve never seen an aphid on a cedar tree before. 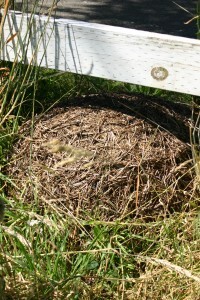 Our original anthill is in the middle of a pasture, and has probably been there for 10 years. It used to be on the edge of the blackberries, but the bushes are gone now. Its easy to tell where it is because the grass grows HUGE next to that busy ant farm. I’m not surprised the grass is happy–the ants’ home is a well maintained pile of mulch. The kids found a 3rd ant hill just last week. It’s closer to the house, right by the edge of another cedar tree. It’s so tiny you can easily miss it, but we check on it often. The spot they chose to build is on poor soil, and I’ll be glad to have them mulch it for me. I’m glad it’s there. I’ll bet there will be a lush ring of grass surrounding that new ant hill next year. Thatching ants are sometimes referred to as “mound” ants because some species construct mounds from small sticks, grass stems, leaves, and pine or fir needles. They may also nest in decayed logs. Under most circumstances, thatching ants should be considered beneficial, since they are fierce predators of other insects. This entry was posted in Farming and tagged Insects. Bookmark the permalink.